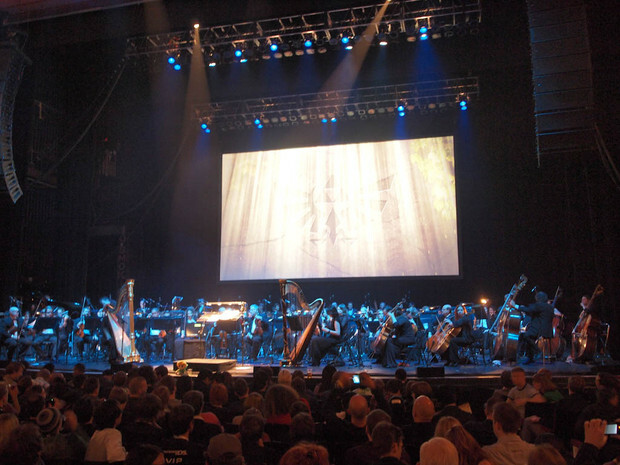 Community Blog by GundamJehutyKai // The Legend of Zelda 25th Anniversary Concert in LONDON!! Nintendo do like pulling off a load of bluster for their icons don't they? 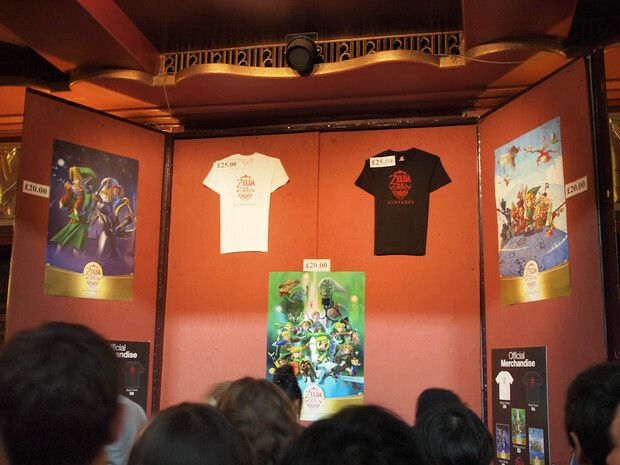 Mario got a load of special edition items for his 25th anniversary and for the 25th Anniversary of the legend of Zelda, Nintendo announced a set of concerts to celebrate the music of one of the most highly regarded and lauded video game series of all time. There were already 2 concerts, one in Tokyo and one in LA and the last one was held last night in London! 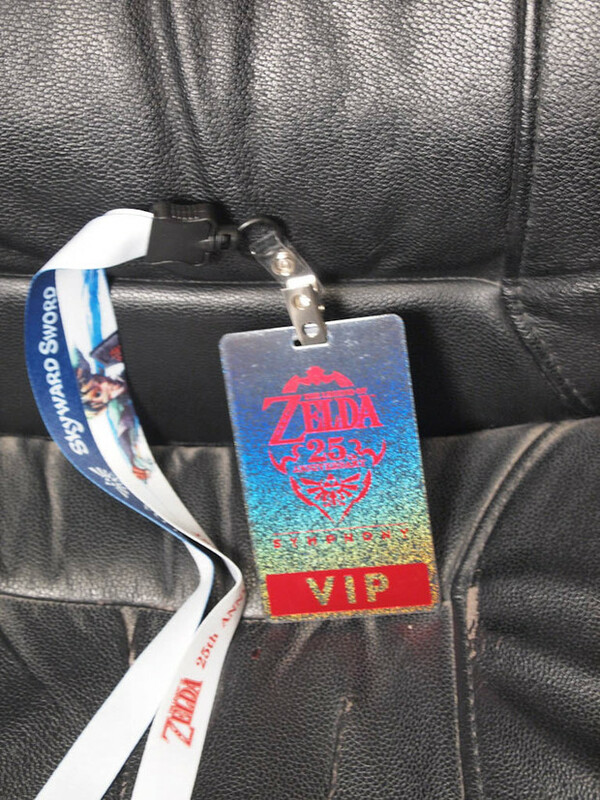 So, with VIP ticket in hand, I went along to the concert with other members of the Destructoid UK community. 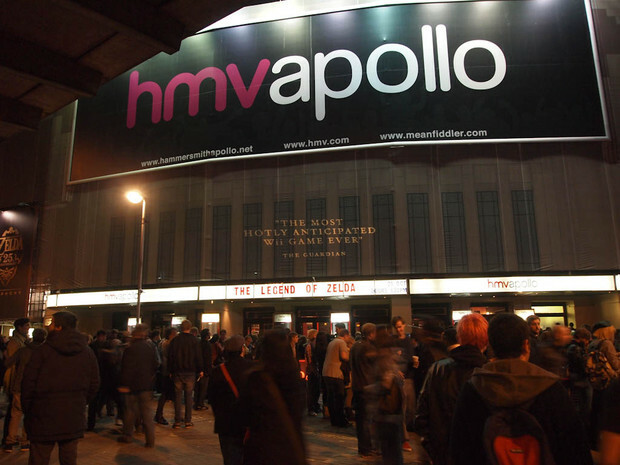 The event was held at the Hammersmith Apollo theatre and tickets went on sale a few months ago, a far cry from the Distant Worlds tickets which were on sale around christmas last year! The event isn't happening for another week!! I landed a seat right at the front, near the right side of the stage. And here's the programme for the event. 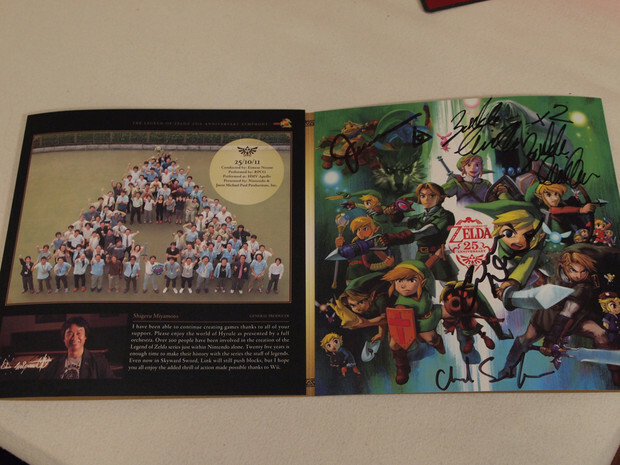 It came with some messages from Miyamoto Shigeru (who wasn't in attendance), Aonuma Eiji (the producer) and Kondo Koji (the music supervisor). And here's a closer look at the programme list of all the pieces they were playing for the night. 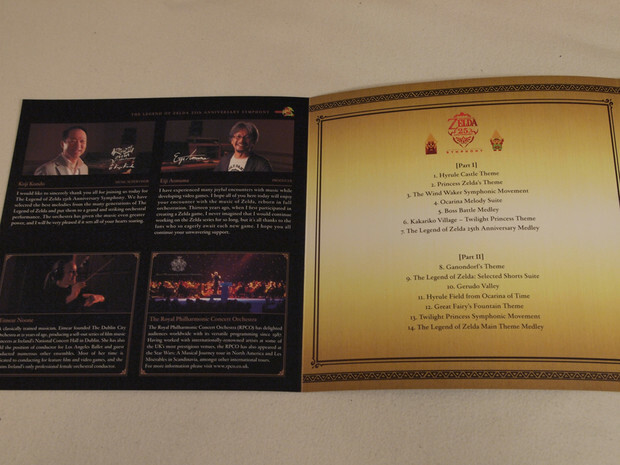 There were also 2 pages at the back which left a few notes about the tracks that were played. 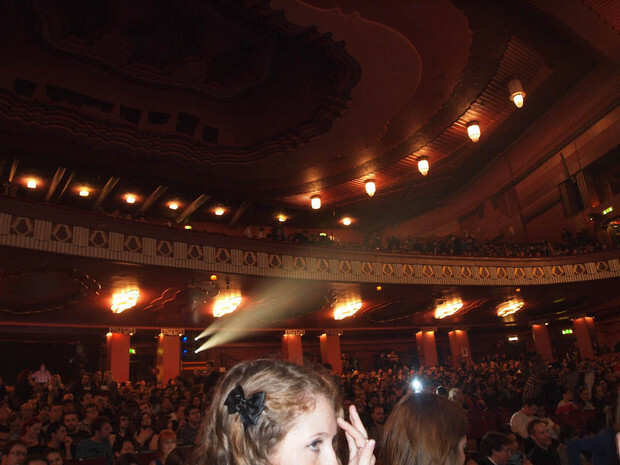 Anyways, the venue was pretty busy when the show got started. Terrible place to take photos because of the lighting but it also didn't help that he wouldn't stop moving!! After that, he introduced the conductor for the evening, Eimear Noone and we then got our first track of the evening. And then after a few words from the conductor, we were introduced to the person who would basically introduce the remaining tracks to us and explain a little about them (not that anyone in the crowd needed an explanation) but that was when we were told that our "guide" would be Zelda Williams! You know? 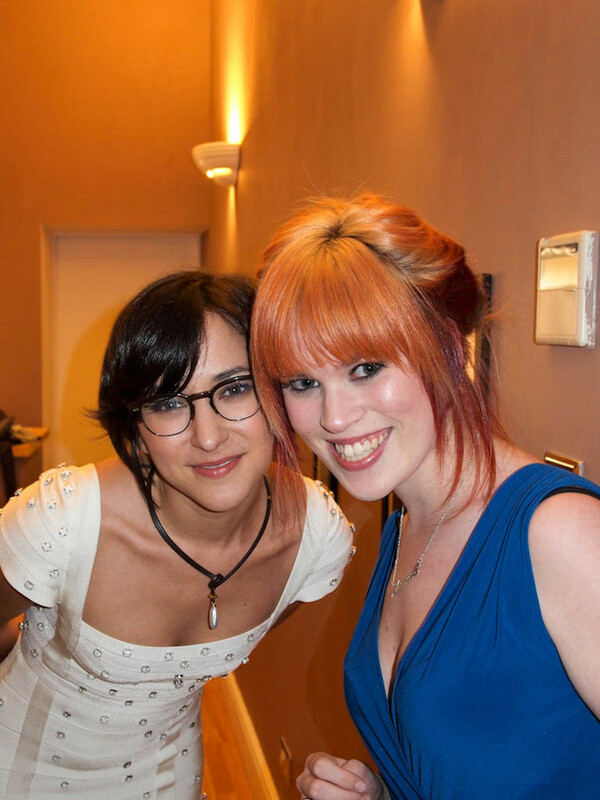 the hot daughter of Robin Williams who did the adverts for the Ocarina of Time 3D with her dad? And the good, down to earth kind of hot, like Natalie Portman and Audrey Hepburn, and not the sexpot kind of hot. Ms Williams wouldn't stop moving either, but she's forgiven because she was clearly nervous. heck, she even made a gaffe later on in the show by saying Kakariko Valley instead of Village. But at least she managed to correct herself before the audience did (barely). 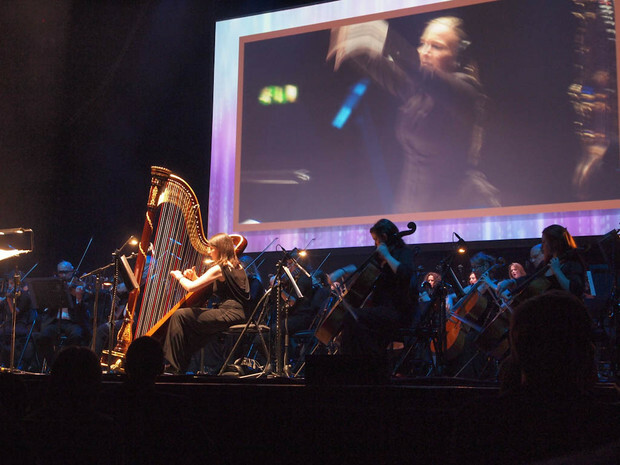 Then what followed was a couple of hours of sweet orchestral music, punctuated with a mix of live video of the orchestra playing and some gameplay video of the legend of zelda games. Now, here's where a little criticism comes in. 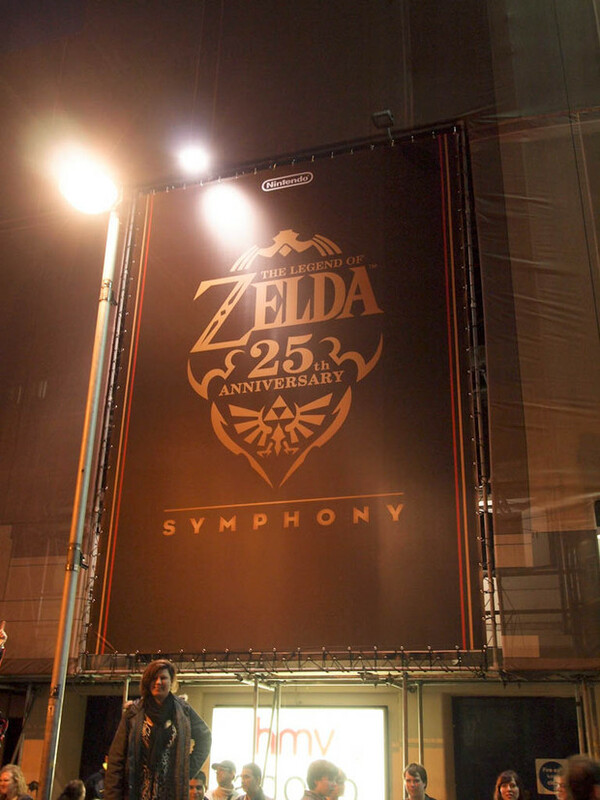 It was billed as a 25th anniversary concert but it would be more accurate to describe it as a 13th anniversary concert as almost all the music was from either ocarina of time, Wind Waker or Twilight princess. Wind waker and Twilight princess got a whole piece each which basically took us through the whole game in a matter of minutes while the bulk of the concert was taken up by Ocarina of time. Being a fan of the earlier games, I was a little disheartened that very little time was taken to update some of the music of the earlier games. 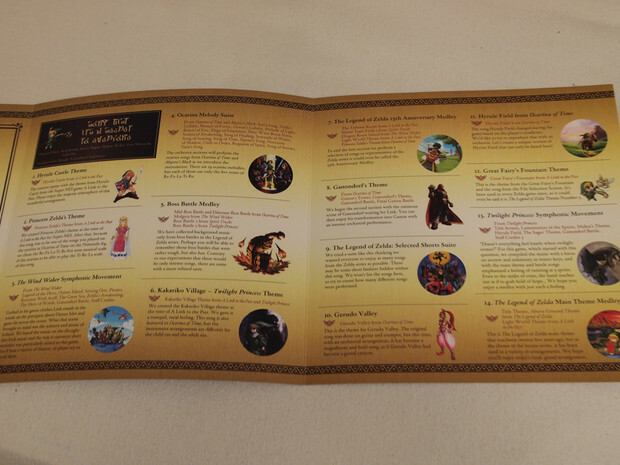 Links awakening and Zelda 2 had no presence at all but I did have a big smile on my face on one of the later tracks, the 25th anniversary melody as they put the dark world theme in along with some gameplay video of a link to the past, my favourite game of the series by far! Other than that, I have to admit that, since I'm not as big a fan of the series as other people are, I found that many of the tracks gave me a sense of familiarity but not nostalgia. That doesn't take anything from the concert itself but perhaps I didn't enjoy it as much as the others. 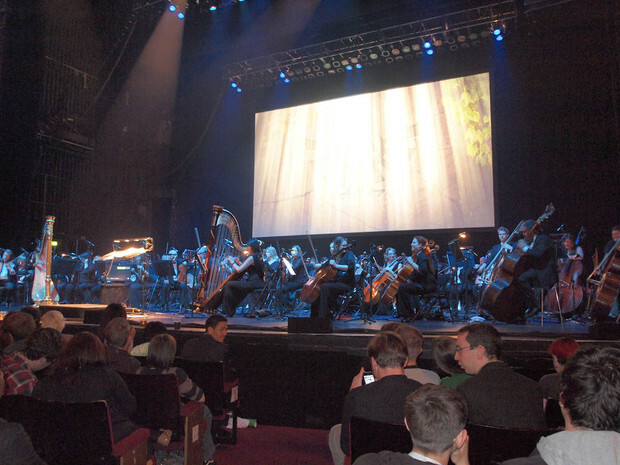 Some of the other Dtoid members who were in attendance loved the Wind Waker symphonic movement piece for example. 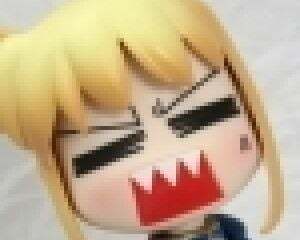 There were also some other minor bits of criticism as well, pertaining to the vocals. There were a set of vocalists at the back of the stage who were most prominent when they sang the song of time, but they used microphones to project their voices. That was disappointing for me as I would have preferred clear, natural vocals but then, they were situated at the back and would have had to fight against the orchestra to be heard. I guess that's more of a criticism of the venue rather than the skills of the vocalists. 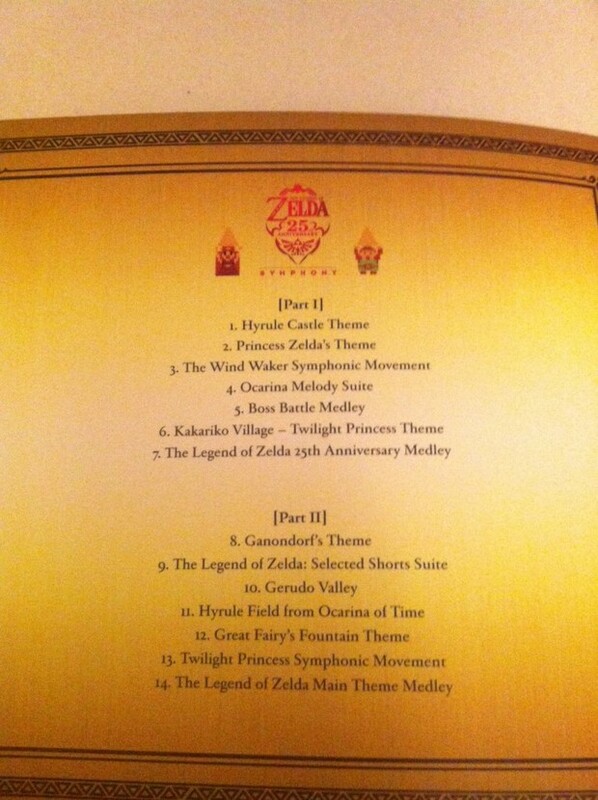 The other major criticism was when they played Ganondorf's theme. 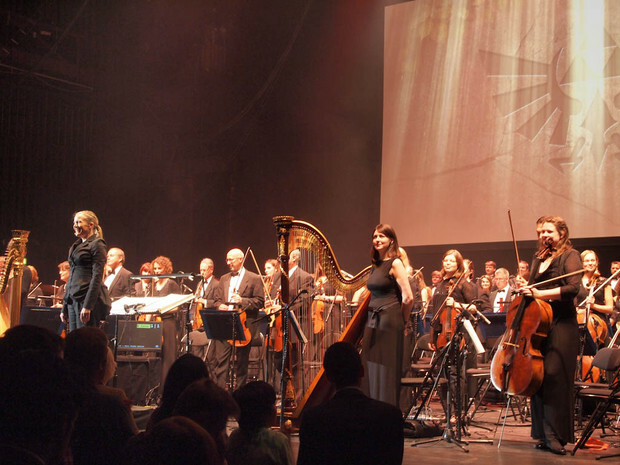 The theme itself is very organ heavy, since Ganondorf is seen playing it in the Ocarina of Time but since there was no organ present at the venue, they had a pre-recorded track for the piece, which the orchestra accompanied. And you could really tell it was a recording from where I sat. You could hear a lot of distortion in the music being played through the speakers. It made me wish that they had chosen a different track to play. 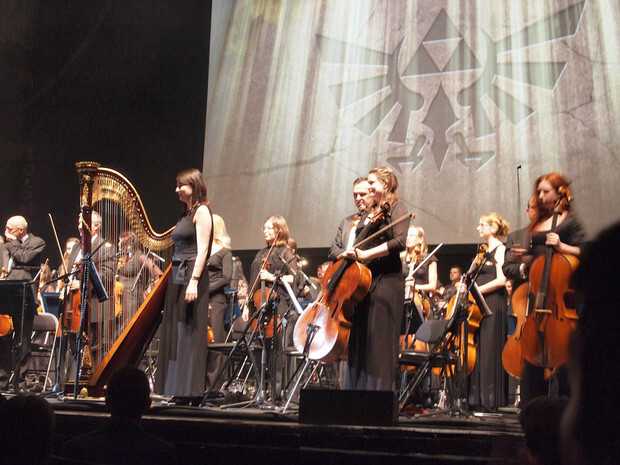 The concert ended pretty much the only way it could, with a rendition of the theme for the legend of zelda, a piece which has been in the games since the very first one. Afterwards, Kondo-san took to the piano to give us one more piece from Wind Waker before giving us a speech in english and thanking the Royal Philharmonic Orchestra for their performance. 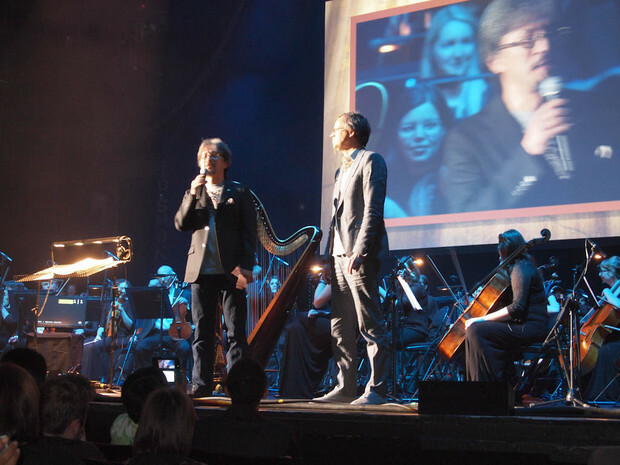 Aonuma-san then took to the stage one more time to plug the new game, skyward sword. Rather awkwardly, he spoke of a new Zelda game which was being released in November and asked the audience if they knew what it was called. But he said it in Japanese, which I understood and I nearly shouted out the answer before he handed the mic over to his translator to ask everyone in english. Man, that would have been embarrassing if I was the lone guy shouting it before. Then again, there were people shouting random japanese at him earlier in the evening. Not sure if they actually knew Japanese or if they were just shouting what they knew. I don't think 大丈夫 was the correct reply to what he was saying at the time. Aonuma-san also told us that the game will come with a CD of the concert so if you want to listen to what was played, go and buy the game!! And to round things off, the Royal philharmonic orchestra played the theme to skyward sword as the encore to end the concert. That was it for the concert, but for VIP ticket holders, we got to do a meet and greet. And this is where the knives come out. The meet and greet was advertised along with the VIP tickets so we knew it was going to happen but there was no indication as to who would be there. And man, was it a disappointment. Now, I was at the back of the queue as I chose to wait for some of the Dtoid crew who needed to pick up their VIP passes so we ended up waiting a while before we got into the area as they were only letting in a small number of people at a time. To kill time, we got some freebies like plastic ocarinas and keychains. 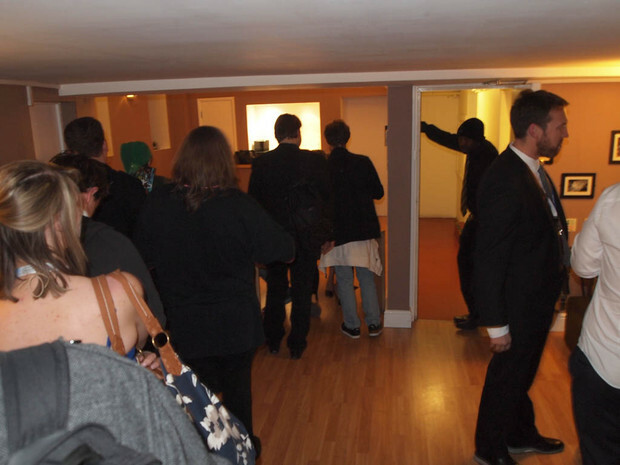 When we finally got into the little room where the meet and greet was held, it was already late but when we got in, we saw that the people present were The conductor, Eimear Noone (cool), Zelda Williams, (also cool) and... 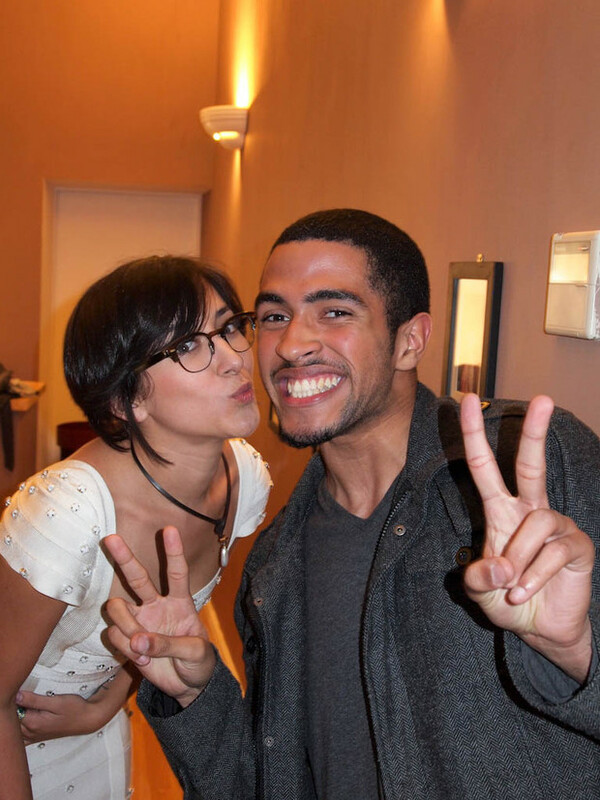 The producers of the show... WTF?? 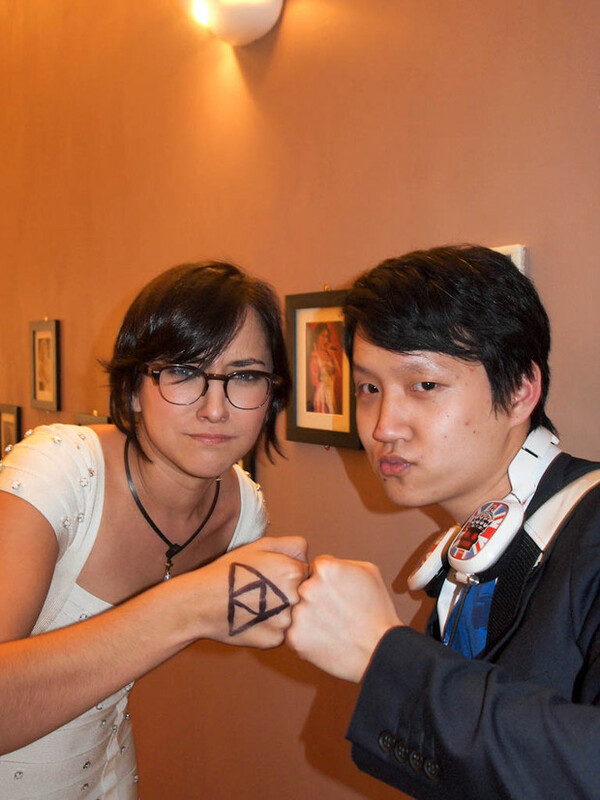 No Kondo Koji and no Aonuma Eiji, even though we knew that they were present!! 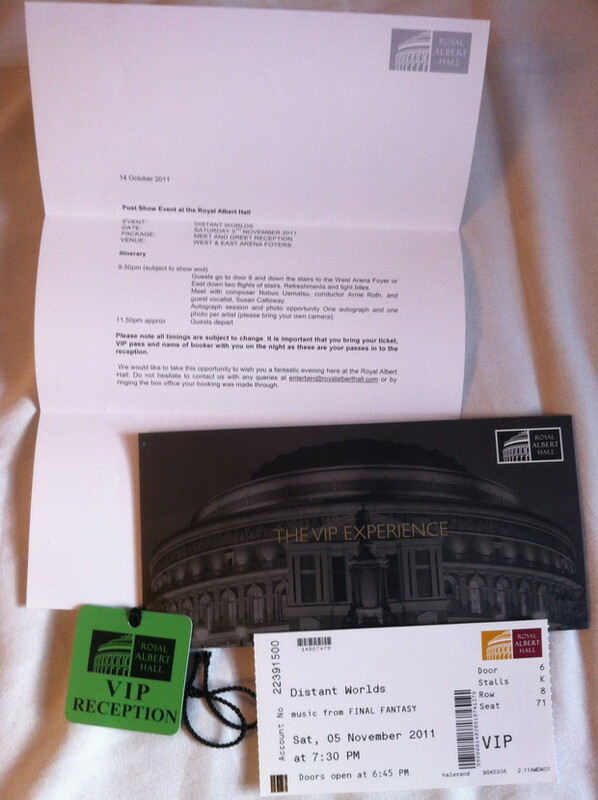 Bearing in mind that the VIP tickets were almost double the cost of the regular tickets, this was incredibly lame. It's possible that they were present earlier and left but that makes it even more lame and suggests very bad organisation. Why provide a limited number of VIP tickets if not all of them get the same treatment? Then again, this is a nintendo event and Ninty are known for kicking their biggest fans in the balls at almost every opportunity so perhaps this was to be expected. In any case, it soured what was otherwise a great night. In short, if you paid �67 for the upper class regular tickets and got good seats, you got the best deal. The �125 VIP tickets were totally not worth it and left a really bad taste once all things were done and dusted. 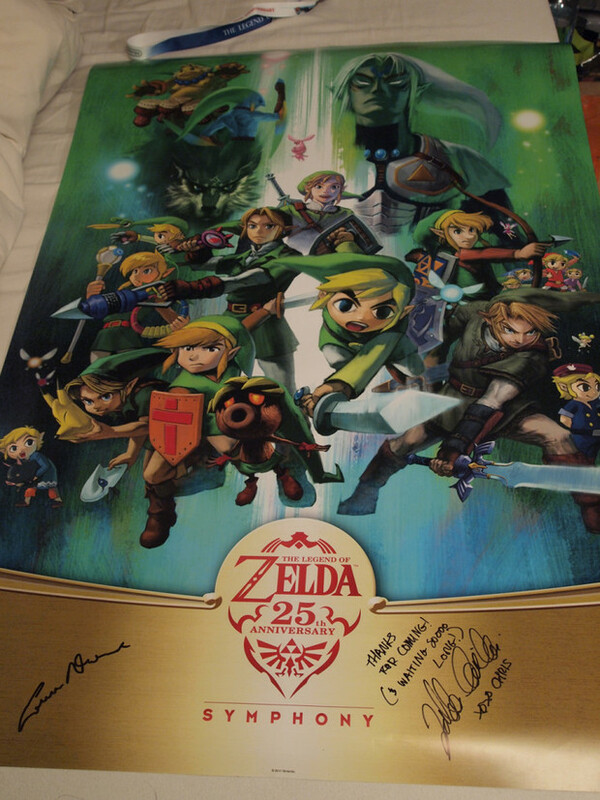 Not even getting my poster signed by Eimear Noone and Zelda Williams and getting a photo with Zelda made up for it. Now, lets see what Distant Worlds will have for us... They're already better organised that's for sure. They have an itinerary and everything!! Don't worry. We already have a squad of highly trained professionals hunting down that guy in the last pic. Gents, your tears of blood will not be in vain! !